Supervisor of K-12 Social Studies Andrea Brennan and Westfield High School social studies teachers Hilary Haskell, Kimberly Leegan, and Elizabeth Piombino were invited to present at the annual conference of the National Council for the Social Studies on Nov 30-Dec 2, 2018 in Chicago. The theme of the conference was “Yesterday - Tomorrow: Building the Future of Social Studies.” Our four educators presented an overview of a popular social studies project in Westfield Public Schools that empowers students to discover and connect their own stories of history through oral narratives and genealogy. This video briefly summarizes the project, using interviews with the educators and their students. This is our oral history and genealogy project. And we also sometimes call it "Who Do You Think You Are?" It builds upon the skills, the knowledge and the themes that we've been looking at over the course of the year and it enables the students to find their place in the history that we've been studying. it's one of those projects that links a lot of concepts that spiral throughout the years in elementary, middle, and high school. and at the high school level we get to take it to examining the national identity and all of the political social and economic aspects that go into how as Americans we make our decisions on policies. on where we're living and what's important to us. I always tell my students, we start at micro-level. that we take a look at who they are and you know what makes up their identity and and the decisions they make. And they make an Identity Leaf. so they create their own identity leaf. we put that on a tree to show we're all individuals. We're studying history together. And then we branch out to looking at the history that we start with and in this course, we start in the 1790s so colonial-era. And then we say about 1790's, these are all individuals. however, they're experiencing some of the same events together and so how did they perceive those events similar and different from one another? and that's something that we carry through the rest of the year History can be a little bit messy. I think a lot of times, especially with the way history can be taught, is we have a textbook or using other sources but history is figured out. Everything is done. but through this project, they realize that it is a messy process that you do have to make inferences and make logical conclusions that sometimes you won't always have an answer. And I think that's another really big benefit to the project is they also get to do the work of a historian and see that everything's not so cut-and-dry. With the genealogy project, I learned that there's many different perspectives to one story. At the start of the project they're perhaps a little skeptical of thinking about their family or somebody they know, a family friend that could have possibly had a link to something that they learn in their history class. And what they uncover is a lot of things that they didn't really know about their moms or their uncles or their family's experiences. During my genealogy project, I learned something about my family I never could have learned anywhere else, like I went back and I ended up finding out that one of my great great great great great grandparents actually was a participant in the Civil War for the Union. The project is really learning kind of where students connect to the stories of history. What's their personal connection to that? And we'll be creating these incredible blogs based on research that they done and it'll give them so many skills about how to understand and research primary source documents and understand upon whose shoulders we all stand in terms of the story of history. In the Oral History Project, I was able to connect with my grandparents' struggles as they were teenagers. One of the crucial challenges for elementary teachers is is to find ways for students to understand the historical content and one of the best ways for them to do that is comparing their family's experiences to those of certain people throughout history. In this particular case, it would be immigrants in the 1800's or mid-1800's coming to Ellis Island or Angel Island. Students at this age are like little sponges. They want to know about everything. And years back. it was a lot about textbooks that we were reading about history but they disconnected from it. Can you imagine if your parents said we're moving to a new country, here is a small bag, pack everything you need? By doing oral history, by them finding out where they came from makes a connection for them. That's the best way for them to remember things. So we recently took a field trip to Ellis Island and I told the students when you are on the ferry and you see the Statue of Liberty I want you to think not as yourself but as them, as these immigrants. What I liked best was when they pretended to interview us and we had to make up a story of why we were coming to the U.S. My great-great grandmother's family, they had a big family so they had to separate. It's interesting because you know what it's like to be an immigrant so you don't need to really like read hundreds of books to feel what it's like. I think sometimes we lose sight of you know history is just a bunch of old rich dead white guys. Where do I fit into this? I always tell my students, we hold George Washington on a pedestal and rightfully so but he was a real person had to make real decisions, you know things. He had struggles and obstacles just like each one of us and that's why I think identity is really important and that's the theme that we weave throughout the entire year is how does the U.S. develop its identity. And that's what we keep coming back to over and over again. 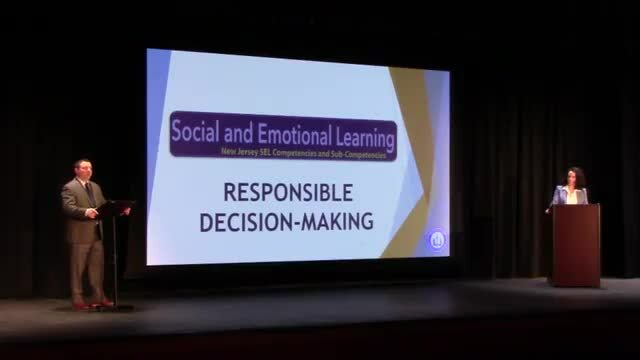 The Westfield Public School District has created a series of short TED-style Talks to explain Social and Emotional Learning (SEL) and each of its five core competencies, with examples of how they are being used in our district and the research that tells us why they work. We hope this series helps you to better understand the tremendous benefits of social and emotional learning. 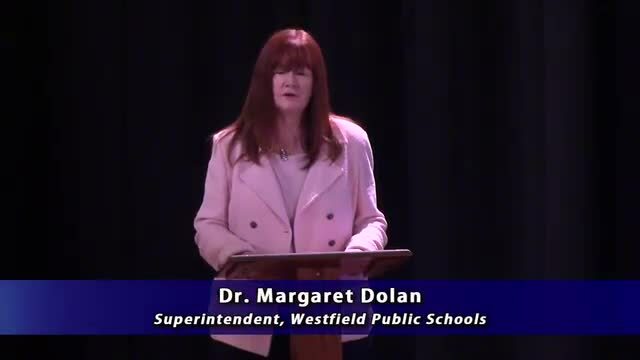 This introduction by Superintendent Dr. Margaret Dolan provides an overview of SEL. Self-Management is the second of five core competencies of Social and Emotional Learning (SEL). It is the ability to successfully regulate your emotions, thoughts and behaviors in different situations, to effectively manage stress, control impulses and to set and work toward personal and academic goals. 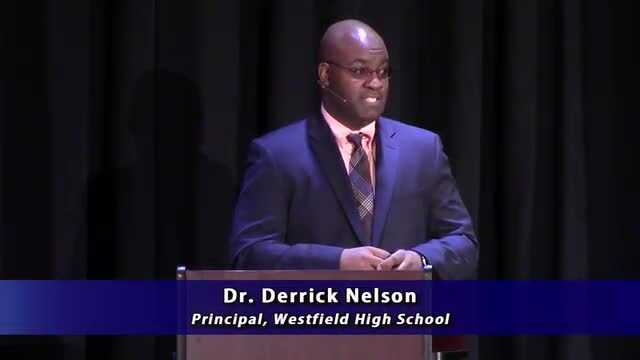 In this third segment of the district's series of TED-style Talks on SEL, Westfield High School principal Dr. Derrick Nelson outlines the critical importance of self-management in our schools and in our lives. The first of the Social and Emotional Learning (SEL) competencies is Self-Awareness. Self-awareness is crucial to all levels of success. When we are self-aware, we are able to recognize our emotions and how we respond to them, identify our strengths and weaknesses, and appreciate our self-worth and capabilities. 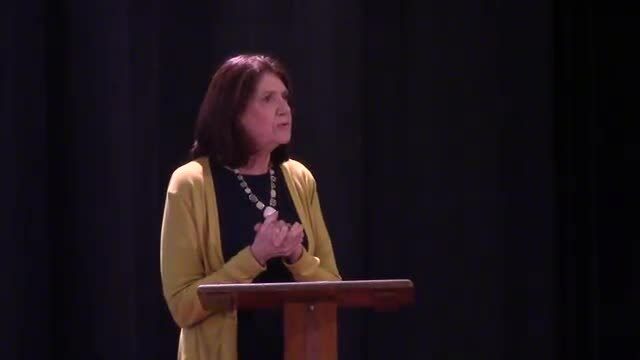 As part of a series of TED-style Talks produced by the Westfield Public School District to explain SEL and how it is being used in our district, K-12 Director of Guidance Maureen Mazzarese focuses on the Self-Awareness competency of SEL, which allows us to live courageously, pursue our individual goals and dreams, and be our true selves. Empathy and respect for different backgrounds and viewpoints are themes that appear throughout Social and Emotional Learning. But nowhere are they more prominent than in the third SEL competency, Social Awareness. 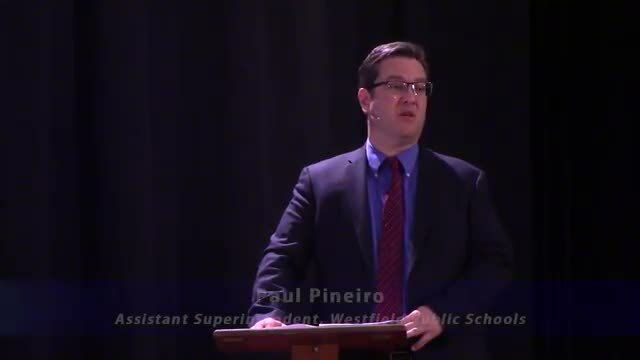 As Assistant Superintendent for Curriculum, Instruction and Programs Paul Pineiro explains in this segment of our TED-style Talks on SEL, developing social awareness among our students begins the moment teachers greet students on the first day of school for pre-kindergarten and kindergarten. Every day, we ask our students to problem solve, whether it's a word problem in math, determining primary versus secondary sources in social studies, or some other academic riddle. Yet we also expect our students to solve problems and make choices that can have a profound impact on the social and emotional well-being of themselves and others. In this examination of Responsible Decision Making, the 4th competency of Social and Emotional Learning, Roosevelt principal Mrs. Mary Asfendis and Edison principal Dr. Matthew Bolton discuss the importance of supporting our students, not just academically but socially as well.